SproutsIO is designed and built to the highest standards of quality. We are committed to delivering a growing experience that is easy, engaging, and fun. Together we are planting the seed of a brighter future in which technology reconnects us with our food and invites participation. 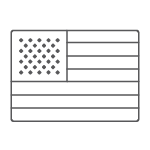 We are proud to be designed and manufactured in the USA. Our production partners are an extension of the SproutsIO team – we work together to ensure that every component of the SproutsIO system is manufactured with the care and precision that you deserve. Part of our mission is to care for our community and environment. From energy efficient electronics to our carefully sourced materials, we strive to make every aspect of our supply chain responsible and sustainable. SproutsIO leverages user input to create a feedback loop, continuously improving our software and hardware to grow better produce and provide a better experience.